Basketball is one of America's favorite sports, with professional games playing in homes and sports bars across the country. Some tournaments can attract as many as 18 million viewers or more — many of whom, unfortunately, don't know the history of this storied sport. If you're interested to know where this pastime came from, here are the basics. The game began with Dr. James Naismith, a PE teacher in Springfield, Massachusetts. Concerned that football involved too many injuries, he was looking for a sport his students could play indoors to keep in shape during the winter. In 1891, he established the original rules of the game. His basketball court included two fruit baskets nailed to the railing of the gym's balcony. The first public game was played on March 11, 1892. 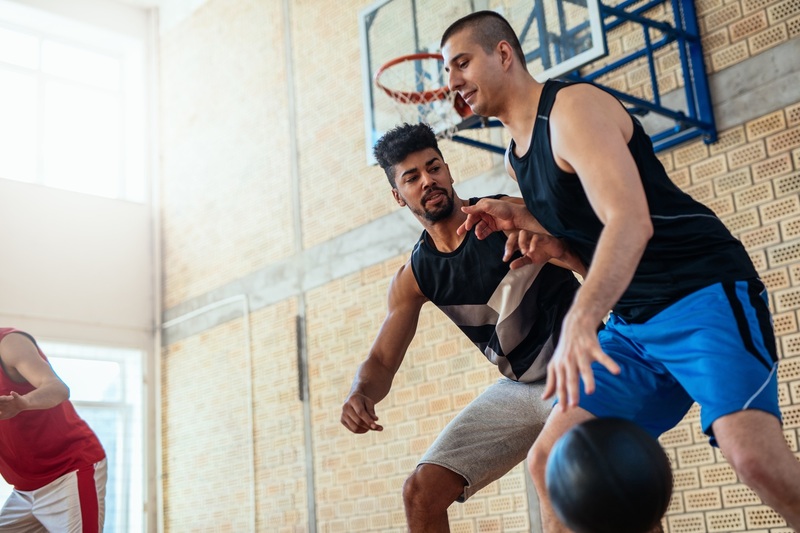 Basketball exploded in popularity in just a few short years, as students gradually introduced the game to their local YMCAs. They also taught the game in foreign countries on Christian missions, leading to the first game being played in Europe in 1893. And when World War I broke out, American troops took basketball overseas with them, furthering its international popularity. The first large-scale basketball organization was the National Basketball League, started in 1898 and disbanded in 1904. For a while, smaller championships and challenges set by individual teams dominated the professional basketball world. In 1946, the world-famous national league was established, and now games are broadcast internationally as fans gather at sports bars across the country and the world to watch. If you're looking for a sports bar where you can watch the big game, visit Buffalo Wild Wings in Hicksville, NY, or at one of their other convenient locations in New York, Connecticut, and across the country, including Brooklyn, New Haven, and Stamford. This popular restaurant and sports bar has almost 40 years of history providing mouthwatering wings, 16 signatures sauces, a selection of cold beers, and numerous flat-screen TVs so you can get the best view of the game. Find a location nearest you and check out their menu online.